Sweet fermented rice cream, dessert or drink. Leaf curd. Coagulated protein from the juice of edible leaves. Lupin tofu. Curd made from sweet lupin beans. Soya pulp. Useful by-product of soya milk or tofu production. Fermented seasoning paste made from grains or beans. Pungent fermented soya beans, bound with fungal mycelium. Pressed cake of blanched nuts. Commonly made from peanuts. 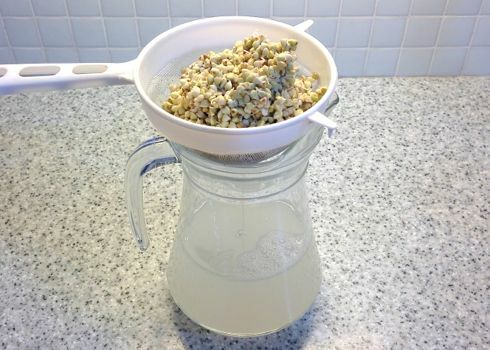 Milk made from legumes, grains, nuts or seeds. 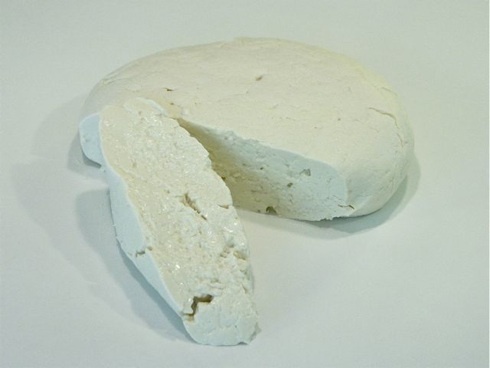 Curd cheese made from strained soya yoghurt. Fermented liquid made from sprouted grains. Wheat meat. 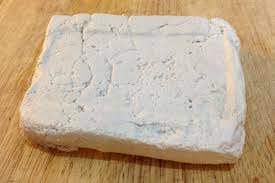 A chewy cooked dough made from wheat protein. Ingredients made from the soya bean - the legume glycine max. Soya bean milk. A blend of water and soya beans. A thick emulsion of soymilk and vegetable oil. Bean curd. White vegetable protein made from soya milk. Japanese word for soya milk, sometimes used internationally. Soya Milk and other plantmilks cultured to make yoghurt. Bean curd skins, formed on the top of heated soya milk. Rejuvelac is a fermented liquid made from sprouted grains. It can be drunk as a live-culture drink to aid digestion or used to ferment other foods such as nut/seed cheeses or plantmilk yoghurts. 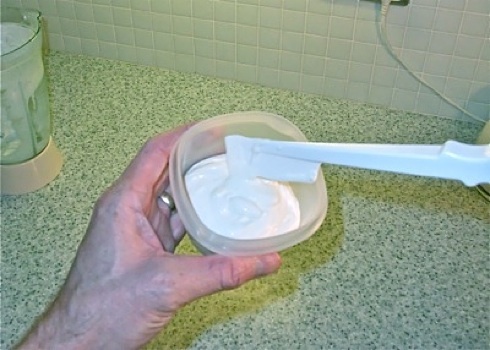 Click on the link below for our guide to making rejuvelac at home. 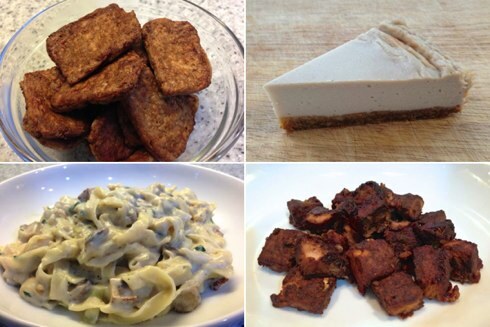 Our sister site veganoo.net has an article on what you can do with your nufu once you've made it. You can make 'tofu' from peanuts just like you can from soybeans. Nufu tastes peanutty and is a versatile alternative to tofu for meat-free and dairy-free dishes. You can use it in everything from stir-fry to cheesecake. Read on for our step-by-step demo of how to make nufu at home. You can culture quinoa milk just like soya milk (and dairy milk) to make quinoa yoghurt. 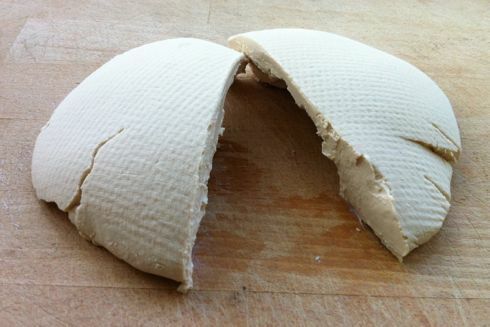 If you strain and press that yoghurt, you get quinoa qurd - a vegan soft cheese made of nothing but quinoa. Read on for our step-by-step demo. Our sister site veganoo.net has an article on what you can do with your leafu once you've made it. Leafu is the protein curd extracted from edible leaves such as nettle leaves. It can be made at home with low-tech kit, although the yield is low for the effort required. Click on the link for our step-by-step demo. Making soyoli is simple...if you know how. Follow our step-by-step demo to avoid the pitfalls when making this versatile ingredient. Want to make your own homemade eggless mayo? Just whip-up some soyoli, then add salt, vinegar and mustard...voila...thick and creamy mayo. Click on the link for our step-by-step demo. 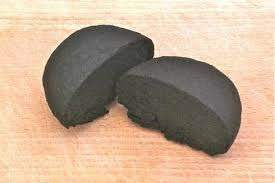 Did you know, that brushing slices of tofu with soy sauce and a little oil, then grilling (broiling) them, makes a tasty hot sandwich filling? 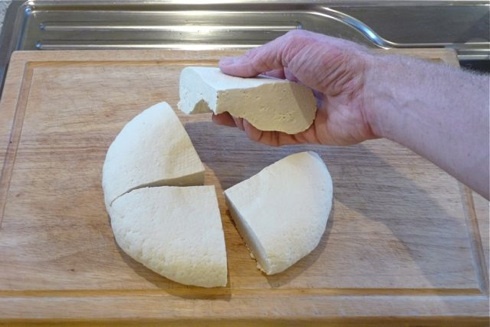 Did you know too, that you can make fresh tofu at home? You won't need special kit, other than a large stockpot, a blender and some cheesecloth. Click on the link for our step-by-step demo. Soya milk can be cultured just like dairy milk, to make a thick mild-tasting yoghurt. It's great for smoothies or on top of your breakfast cereal. You can make live soya yoghurt quickly and cheaply at home too. Click on the link for full step-by-step instructions. Strained soya yoghurt makes a curd cheese called 'qurd', that's ideal for dairy-free cheesecakes. You can make your own qurd, and impress your friends with your superior cheesecake skills. Follow the link for our full step-by-step instructions.